Sigung Wong Shun Leung (WSL) left us already 13 years. (He passed away on January, 28,1997) It’s a shame that I have never met him in person. Years ago when I got the idea of starting learning Wing Chun, I did some researches on different systems of Wing Chun. I found WSL system seemed to be the one best suited for me. Unfortunately, I couldn’t find anyone teaching WSL system in my area. Only after learning Wing Chun for many years later, I had an opportunity to study with one of Sigung’s best students, Gary Lam. I had to say throughout the years when I was learning Wing Chun, I got a sense of WSL was universally admired and respected, no matter which lineage the person belonged to. Besides being a nice person, I guess it probably due to all the Bei Mo (challenge fights) that WSL did when he was young which helped Wing Chun established its reputation in Hong Kong . Once in a while when Sifu Lam talked about Sigung I would pay special attention just tried to know more about this legendary person. WSL rarely brought up those fights himself. I remember how Sifu Lam described Sigung Wong’s fights. At the beginning of his fights he was like a bird sitting on the tree watching the opponent’s each move. Suddenly, he turned into a lion and ate up his opponent with only one bite while the by-standers were still in shock about what had just happened. Sisuk David Peterson also said all Sigung WSL’s fights finished with just a few techniques, therefore he had no opportunities to use many of Wing Chun techniques, for example he had never had an opportunity to use Tan Daar. When talking about Sigung WSL, one has to bring up his most famous protégé – Bruce Lee. My Sifu also told us that Bruce Lee was very “naughty” at school when he was still a teen in Hong Kong and sometimes he would run into troubles. And, Bruce knew people were going to wait for him outside of the school. Bruce would call up WSL saying” Sihing, are you free this afternoon? Can you pick me up after school?” WSL knew Bruce had problems, so he would go to meet him. Bruce Lee’s first student in the USA , Jesse Glover, has written “the man that Bruce talked about the most was Wong Chun Leung. He (Bruce Lee) said that he was a fearless warrior who had carried the wing chun banner into the streets of Hong Kong so many times that he was a living legend. 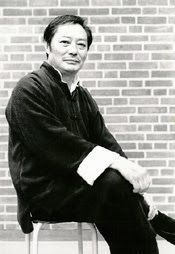 Bruce went on to say that Wong was the person who had the greatest influence on his own development in Gung Fu.” These stories show the special relationships, teacher and friend, between WSL and Bruce Lee. I heard the movie “Ip Man 2” is going to have a character based on Sigung Wong. Although, I am aware of the movie is not going to be the same as real life, but I am interested in seeing how he is portrayed in it. Especially, I heard the movie star Donnie Yen and the staffs of “Ip Man 2” used Sisuk Peterson’s book, “Looking Beyond the Pointing Finger…The Combat Philosophy of Wong Shun Leung”, and instructional DVDs as sources of information for both the history and technical aspects of the story line and action. Oftentimes when mentioned of Sigung Wong, Wing Chun people would express that it’s a shame that he passed away so early. One time one of my kung fu brothers expressed that sentiment, Sifu Lam just smiled and said “He had a good life.” Speaking like a person who knew Sigung for over 20 years and was very close to him, I felt Sifu got a point. If we all could say “We had a good life,” then I don’t think we would or should have any regrets, nor do we need people to feel sorry for us. I really thank Sigung Wong for leaving us such a great legacy. Additionally, I am forever grateful to Sifu for passing down the system to me. I feel honored and such a great responsibility to share the Wong Shun Leung/Gary Lam Wing Chun with people who are interested. I often worry that, due to my mediocre talent and lack of time to perfecting my skill, I can’t represent and teach the system well. The only thing that I am certain of it’s I will do my best. 是的，基本上是如 黃淳樑師公所說。 或者換另一個方式說，當我們的手免于了阻礙，就應直覺地攻擊對手的中線。 要獲取這樣的能力需藉由不斷的黐手訓練。 谢谢! 師兄您好, 沒想到原來台灣也有黃系詠春的, 小弟一直以為台灣只有盧文錦師父一系的詠春的. 說真的黃系詠春真的是很不錯的, 起碼在手法應用上很清晰, 不會含糊. 而且對於守中用中(肘部置中)也比較嚴謹.